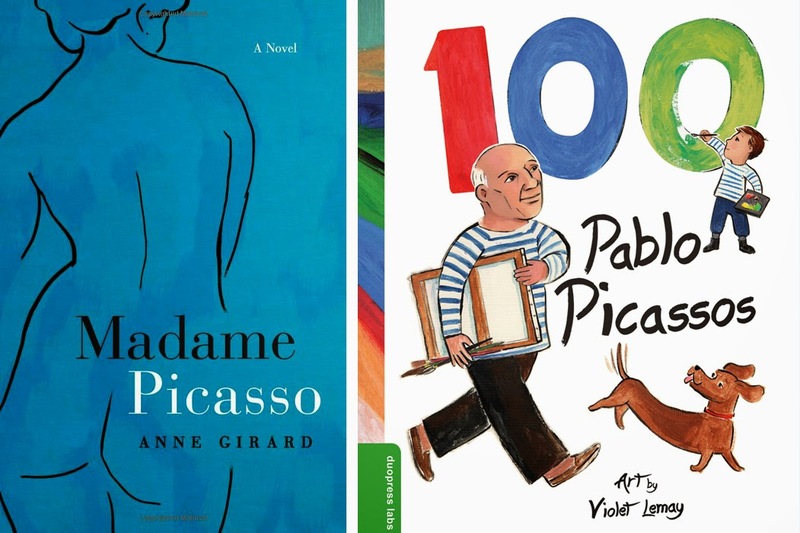 Over the summer while finishing up the art for duopress's soon-to-be-released book 100 Pablo Picassos, I saw an ad for Anne Girard's novel Madame Picasso in Publisher's Weekly. Madame Picasso's beautiful cover caught my eye, as did the copy for the ad: "Twists and turns of fate are the hook for this intriguing story of love and loss..." So compelling! I ordered Madame Picasso (published by Harlequin | MIRA, 2014) and was hooked from the start. At this point I had recently researched and painted not only Pablo Picasso but also his friends Gertrude Stein, George Braques and Max Jacob, all of whom are featured in the illustration above. These interesting real-life champions of the arts and many others are prominently featured as supporting characters in Madame Picasso. It was so much fun to read about them in a non-researchy way. I found Anne Girard's story fascinating and well told. Madame Picasso tells the story of Picasso's brief but powerful affair with Eva Gouel, which happened to overlap the end of the nine years he spent with Fernande Oliver. As you can imagine, fireworks ensued. 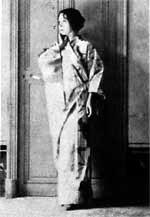 Fernande, an artists' model, was the subject of much of Picasso's work; she is credited with helping to usher the artist into his Rose Period. Picasso's love for Fernande, and the Rose Period in general, are the subjects of the above illustration which I painted for 100 Pablo Picassos. For more about Fernande, Eva, and many others from the list of Picasso's lady loves, follow my Facebook fan page—I am posting interesting facts about them every day. As an interview with the author at the end of Madame Picasso will attest, Anne Girard is not one to skimp on research. 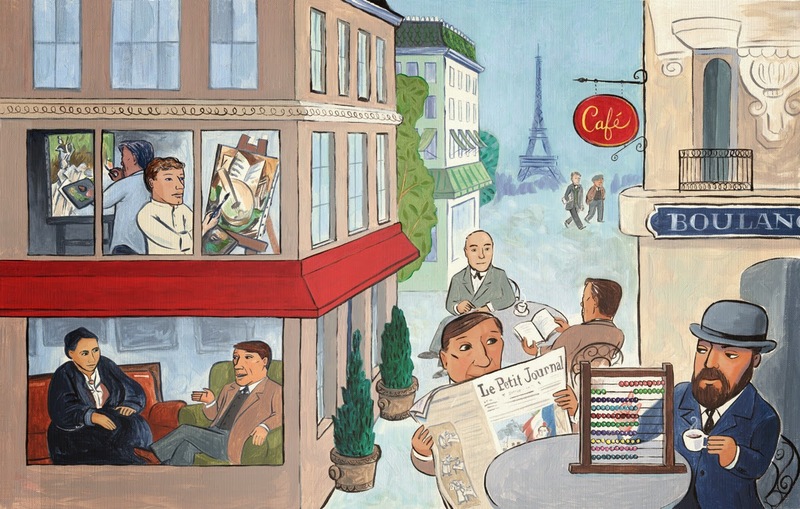 Ms. Girard masterfully paints a vivid picture of the art scene in Paris in the early 1900s. If you've ever wanted to be a fly on the wall of Gertrude Stein's salon, Madame Picasso is the book for you! While reading Madame Picasso, I discovered a mistake I in my illustrations for 100 Pablo Picassos. I had painted Picasso as an older gentleman when he was with his Afghan hound Frika, but in fact, Frika—who figured prominently in Madame Picasso—lived in Paris with Picasso when he was a young artist. 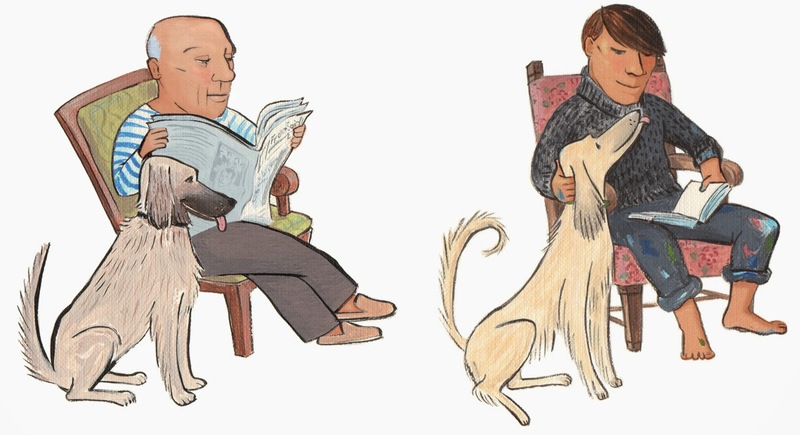 Google had provided me with photos of a silver-haired Picasso in the company of an Afghan hound, but apparently the artist had several Afghans throughout his life. Luckily 100 Pablo Picassos had not yet gone to press yet when I realized this mistake. I was able to re-paint our Frika image, which I subsequently framed and sent to Anne with a note of thanks. 100 Pablo Picassos is an utterly charming and informative tour through the life and career of Pablo Picasso. Enhanced by wonderful the art of Violet Lemay, this book cleverly introduces the work of the great 20th Century master to a new generation. Absolutely delightful! So now I am doubly indebted to Anne Girard. Again and again Anne, thank you! 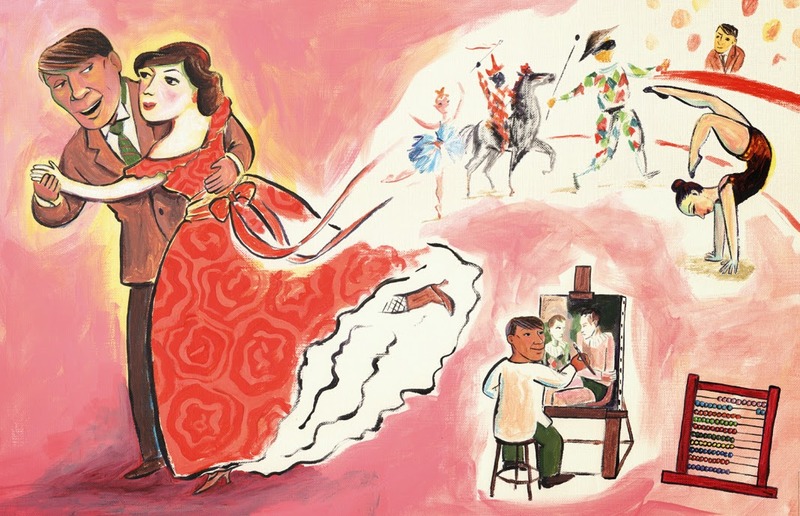 To order Madame Picasso by Anne Girard, a beautifully written Harlequin romance novel (that is definitely not for children), click here. To pre-order 100 Pablo Picassos (written brilliantly by Mauricio Velázquez de Leon / duopress / 2015), click here.